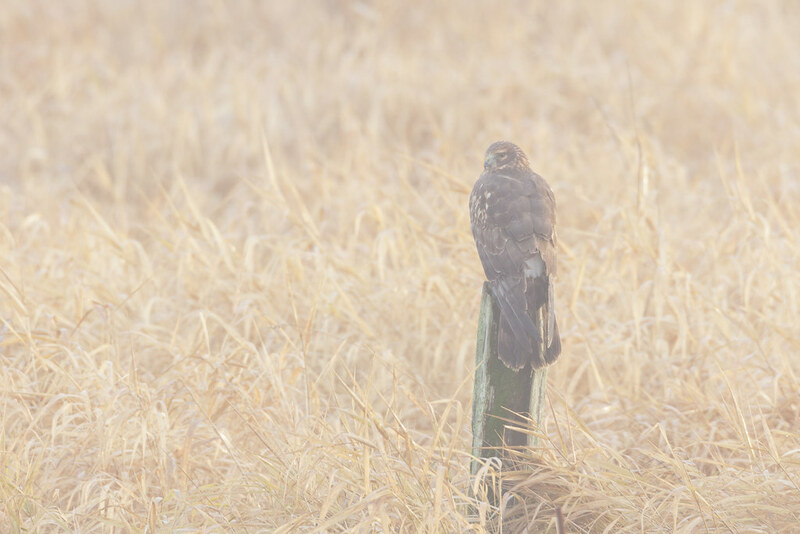 A northern harrier perches above the marsh at Rest Lake, sometimes obscured in fog, sometimes not, as the sun struggles to break through on a winter morning. I arrived at Ridgefield at sunrise but only had an hour before needing to head home to take our cats Sam and Emma to the vet. I thought the refuge would be fogged in given the heavy fog when I crossed the Columbia, but the refuge was clear and a lovely frost coated the meadows. I wanted to take advantage of the frost since it is not typical here, so I continued around the refuge until I found a good subject. 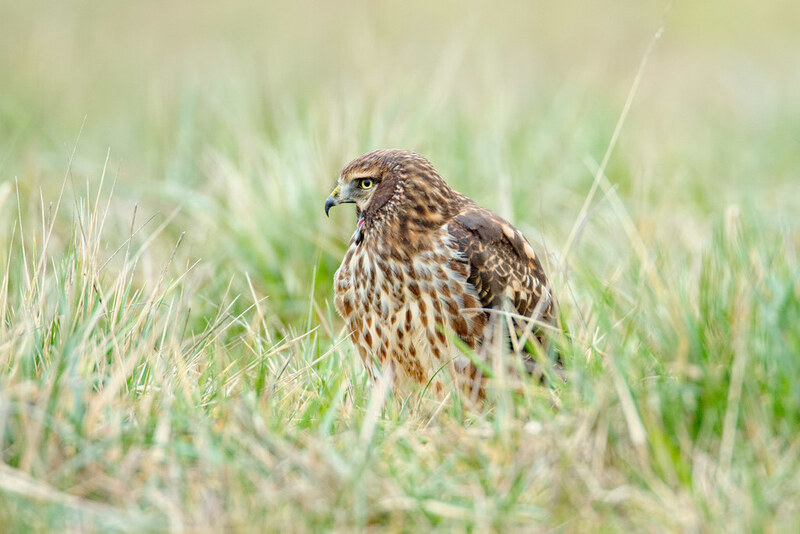 This female juvenile northern harrier was sitting in the large meadow at the end of the auto tour. 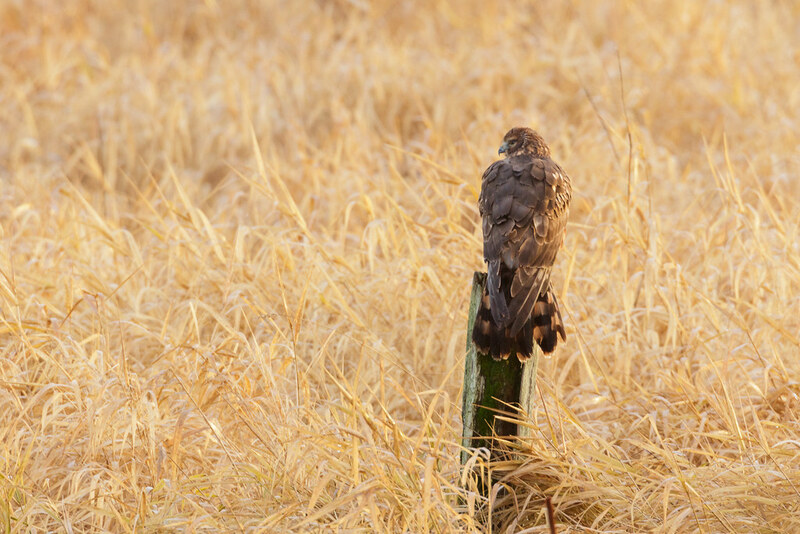 I’d never gotten harrier pictures I’ve been happy with, so since she was a ways off I put the 2X teleconverter on my biggest lens and hoped for the best. 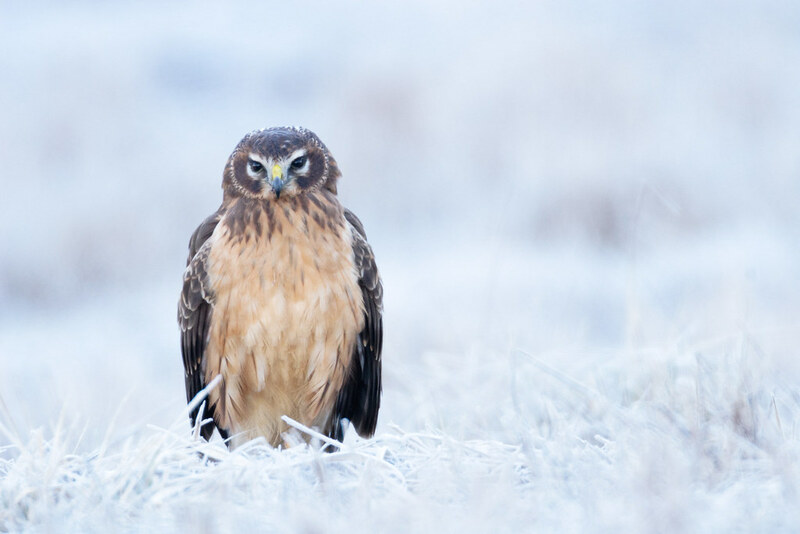 She’s all puffed out in the cold looking a little larger than she is, and you can see the ring around her face that helps give harriers an owlish look. As she grows older, she will develop streaking down her chest and her eyes will turn from dark brown to yellow.